Carpet Cleaning Westminster – Do You Really Need New Carpets? Look around your home and frankly assess the state of your carpets and upholstery. Can you see any stains or patches of dirt? Are they dusty or dull? When your carpets look good, they pull together your furniture and decor and make your home look attractive and stylish. On the other hand, a stained or lackluster carpet will ruin even the most inspired home interior. But do you really need to take on the time consuming and costly task of replacing your carpets and upholstery? At Carpet Cleaning Westminster, we specialize in restoring tired carpets to their original splendor. 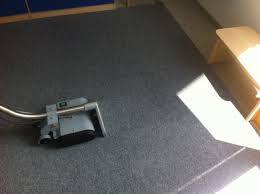 In fact, after a visit from our Carpet Cleaning Westminster London team, you’ll probably be able to put off buying new carpets for quite some time. *The costs above are valid about Westminster. They include the required labour (cleaning hours). If additional time is needed, then supplementary costs will be applied. Minimum charge applies. Quotes over the phone are formed based on the supplied information. Carpets are a major investment and you definitely want to make yours last for as long as possible. The good news is, you don’t have to choose between saving money and having clean, bright carpets and furniture fabric. We use the most modern tools-of-the-trade to rid your carpet of food and drink stains, remnants of muddy footprints and all those other pesky marks that tarnish the look of your carpet. Guided by years in the carpet cleaning business, we know that all stains are not alike and that it takes specific mixtures to deal with different types of stains. Our carpet cleaning specialists will examine each stain to determine the method of cleaning that will give the best results. We believe in keeping our customers informed every step of the way, so our cleaning specialists will let you know exactly what to expect from our stain removal services. While our stain removal services are designed to remove or fade stains on specific areas of your carpets or upholstery, Carpet Cleaning Westminster also offers steam-cleaning services for an overall improvement in the appearance of your carpet or upholstery. Our clients have referred to this service as a ‘face-lift’ for your carpet because it literally takes the years off! Steam cleaning is the only way to thoroughly cleanse and sanitize your carpets. 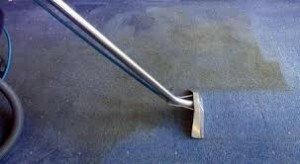 By filling your carpet fibers with a hot cleaning solution and then draining it out at very high pressure, your carpet fibers are given a heavy-duty wash and all the grime and dirt is quickly removed. The high temperatures used in steam cleaning also sanitize your carpets and upholstery, making your home a safer, more hygienic place. Our cleaning specialists have helped many London homeowners save thousands of pounds by lifting the dirt and stains out of their carpets. We’re familiar with carpets of every shape, size and fiber, thanks to years of experience in the carpet cleaning business. Using the most efficient equipment and solutions also helps us do the job with less time and labor, which means we can offer our customers the best prices in town. So before you decide to spend a small fortune on new carpets or upholstery, call Carpet Cleaning Westminster to schedule a visit to your home. You’ll be surprised at how little it costs to get your carpets and upholstery looking like new.